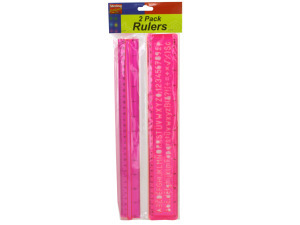 This set of rulers is ideal for school or craft use. 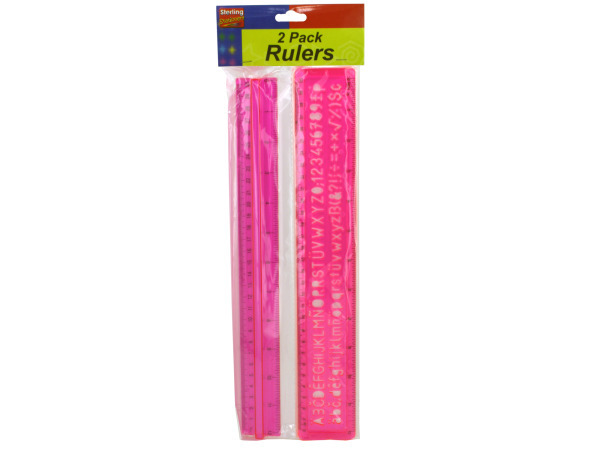 One ruler is standard with inches, centimeters and millimeters. The other also features standard measurements but has an alphabet stencil with both upper and lower case letters. There are 2 rulers per poly bag. Rulers are 12".